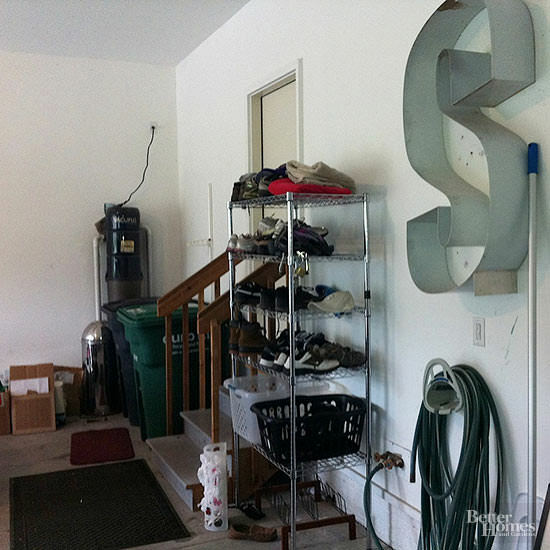 Have a disorganized, cluttered or chaotic home that eats up all the space you have? 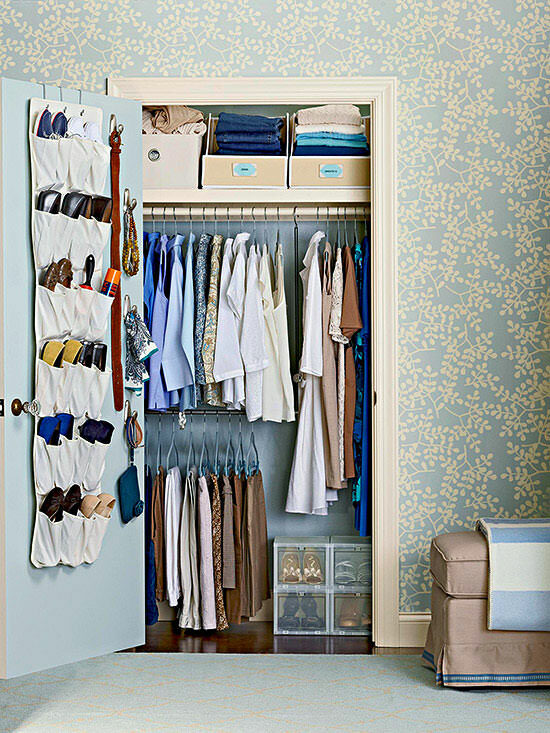 Must see these organizing makeovers. 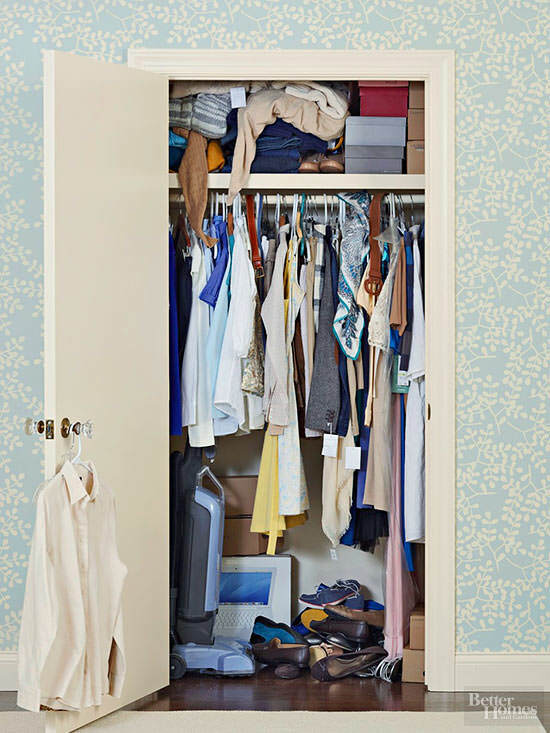 This bedroom closet had become a disorganized catchall for clothes, accessories, and random clutter. Clearing out what didn’t belong made room for smart storage add-ons. An over-the-door shoe organizer provides a home for wayward flats and heels. Storage space multiplies, thanks to a lower hanging bar. (It simply hangs from the top bar — no drilling required!) Bins and baskets corral folded clothes and extra accessories. The ottoman lid lifts to reveal bonus storage, plus it’s a place to sit and put on your shoes in the morning. Papers, bills, charging cords, and an overflowing memo board were sending out a serious organizing SOS. 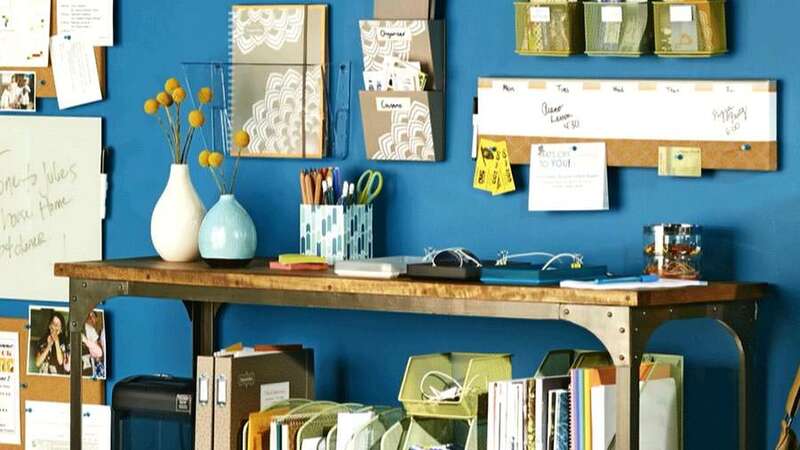 You won’t believe what they ditched in order to create an organized family command center. Watch and find out. Even though it had plenty of space for storage, this garage was still missing the mark because it didn’t have a strategy or a system. 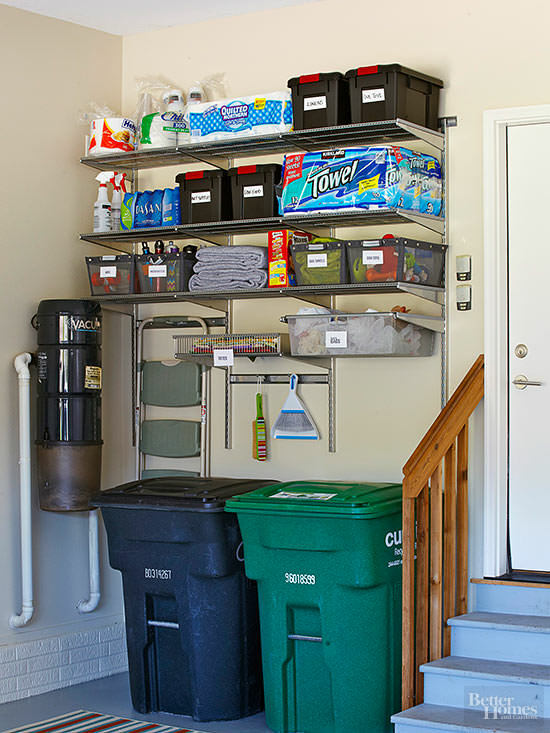 New shelves take advantage of vertical space above the garbage and recycling bins. Hooks give a home to a stepladder (handy to keep nearby when high shelves are involved) and cleaning tools.